One of the sure marks of a talented and astute business leader is their ability to have plans in place to solve problems before they arise. For example, every business has procedures and policies in place for what to do if a fire breaks out. It would seem utterly absurd to wait until a fire actually occurs before thinking about how to respond. The more improbable an event, the less likely it is that a business will have prepared for it. This makes sense, but unfortunately, it is these all-but unthinkable events that have the potential to damage a business the most. For example, the thought of suddenly losing access to your business premises probably rarely crosses your mind. After all, while a fire or a gas leak could strike just about anyone, at any time, these events don’t happen often. When they do, they are unlikely to repeat any time soon. It is important to have a plan in place, or to at least know what to do, should your business find itself in need of more space as quickly as possible. As well as being aware of these options as emergency measures, any business which is going to be refurbishing or conducting other works and, therefore, needs space, should be aware of this secret weapon. Whether you are reacting to an emergency or planning ahead, prefabricated steel buildings have many advantages. One of the many strengths of prefabricated steel buildings is their versatility. Steel is a really fantastic construction material, as it combines a lightweight with very impressive strength and durability. As well as being resilient to physical and mechanical strain, steel is resistant to corrosion and weathering. Whether they are only intended to stand for a short time, as in the case of temporary buildings, or as permanent structures, steel has you covered! To get an idea of just how diverse the potential uses for steel buildings are, you need to look no further than the website of Smart Space, a business that provides permanent and temporary structures made from steel. If you click on their ‘Building Applications’ section, you’ll see how they can be used across different industries. 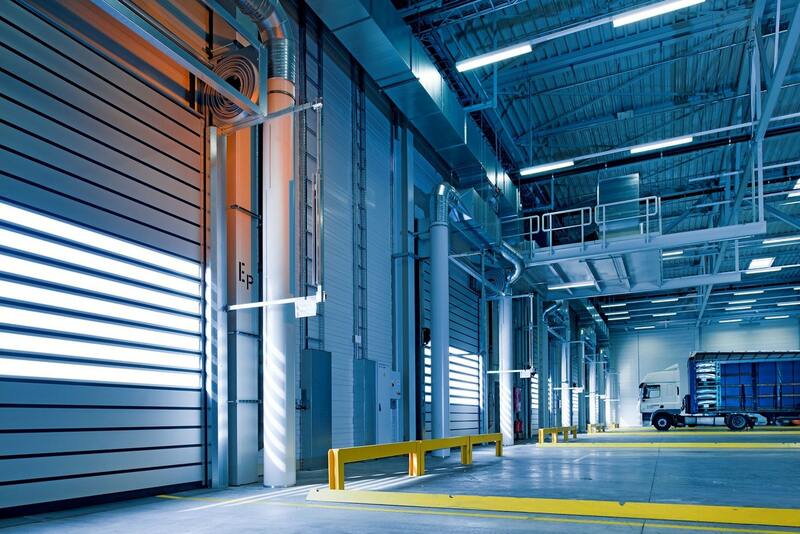 Should disaster strike your business and fire or water damage renders your current storage facilities unusable, you may well find yourself in need of some emergency storage. Your storage requirements will naturally depend on exactly what will be stored, but for most scenarios that don’t require specialist storage, steel buildings provide physical security and protection from the elements. Similarly, when your business is preparing to host a conference or other corporate event, suddenly losing access to your preferred meeting space can be an anxiety-inducing experience. You could be forgiven for assuming that a temporary steel structure won’t be as good as an actual conference room, but this isn’t necessarily the case. Steel structures can be outfitted with heating, air conditioning, plumbing, and any other facilities and utilities you might need. Steel buildings can be utilized just about anywhere in order to provide a secure and affordable structure in the short or long term. There are numerous advantages to choosing steel over other materials. To fully appreciate the potential that steel buildings offer, you need to understand exactly what it is that makes them such a fine choice. We live in a more ecologically conscious society than ever before. Green credentials carry a lot of value in the industry. Not only is the ever-growing pile of environmental legislation and regulations being introduced around the world, but consumers have shown themselves more willing to spend their hard-earned cash with businesses who care about the environment. Therefore, it is a worthwhile use of time and resources to operate your business in a more environmentally friendly way. Choosing steel buildings will give you an excuse to put your commitment to the environment at the heart of any announcements you make regarding these structures. The manufacturing process by which steel is produced is much more environmentally friendly than many people realize. The primary by-product of this manufacturing process is a substance called slag. This is a metallic rock-like substance, which for a long time was seen solely as a waste product with no other uses. However, we now repurpose and reuse almost all the slag from steel production. Most of it is sold to construction companies, where it is used in the manufacture of concrete. Another important note to make regarding the sustainability of steel manufacturing is that the steel manufacturing process is a particularly water-hungry one. Many industrial processes require a significant amount of water. This is one of the most underappreciated environmental concerns surrounding modern industrial processes. In the case of steel manufacture, the water is mostly used to provide cooling but is also used for cleaning and descaling industrial equipment. While steel manufacture requires significant amounts of water, the vast majority of it, around 98%, is reclaimed and reused. If you are looking for steel buildings as a temporary measure, you may well wonder what will happen to the structures once you have finished with them. Where does all that steel go? The good news is that steel is very easy to recycle. The nature of prefabricated steel buildings means that, in many cases, components of one structure can be reused on another structure later on. Where a piece cannot be reused, it can be melted down and reformed without suffering any degradation in integrity. Steel has become a very popular building material for several reasons, but one of its biggest selling points is how easy the material is to work with. Steel can be heated and reshaped with relative ease. The resulting pieces are lightweight but still very strong. Even when a large number of pieces are put together to produce a single structure, the resulting building is considerably lighter than it would be if made from most other materials. Steel structures are of a type known as ‘modular’. When we refer to different pieces of a building, these are like the pieces of a jigsaw. Steel buildings are designed to be easy to construct, it is simply a case of slotting the different pieces together and making sure that they are joined. This makes steel the ideal material to be used in situations where time is of the essence, there is simply no other material that can accomplish what steel does, at the price that it does it. Usually, when a business wants to acquire some extra space, they are prepared to spend quite a bit of money on the privilege. The fact is, space doesn’t tend to come cheap. Whether you are renting a conference room for a day or erecting structures that are to support business activities for a number of months, the costs of finding additional space are often much higher than business owners would like them to be. Once again, steel is the option that provides the most benefits with the least number of drawbacks. The cost of steel as a raw material is low, and because it is so easy to work with, the costs do not increase significantly even after you factor in the production of each individual component of the larger structure. When considering the value of steel, you should also consider that, because it is a durable and resilient material, it can survive for years, even decades! If you are only planning to use the structure for a few weeks, you may still come to appreciate the longer lifespan should something unexpected occur. If you need your steel buildings to last an extra month or two, this shouldn’t present a problem. In cases where you are hoping to use a steel structure in the medium-term, you don’t want to waste money on something that is going to falter and fail halfway through. With steel, you can be sure that the structure will hold up, saving you money on any repair or maintenance work. If you are lucky, you will have known about your need for some temporary or long-term steel structures long in advance of needing them. This gives you time to carefully plan exactly what you need and when you need it. You can then work out a schedule, set your buildings up one by one, and ensure that everything is in place before the big day arrives. Of course, many of us aren’t so lucky. There is a multitude of reasons, many of which are hopelessly beyond our control, that a business might suddenly lose access to space they had come to depend upon. Should this occur, securing some new space and minimizing the disruption to the wider business will surely be a priority? Steel structures are very quick to deploy. Not only this but because they are relatively easy to construct, it is easier to organize the logistics. Prefabricated steel buildings can serve a number of different functions. No matter what your business needs the extra space for, a good quality steel building will meet all of your needs.